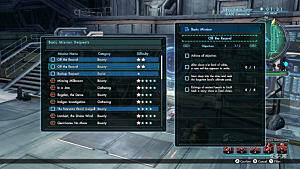 The Psycorruptor and Mastermind Classes in Xenoblade Chronicles X are mostly focused on support and debuffing the enemy. 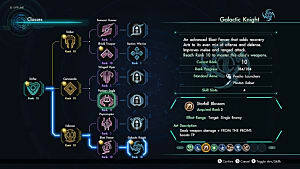 This is viewed as a more advanced class tree than the others, but I think anyone can do it as long as you understand the game and how the classes work. 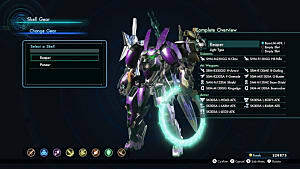 I'll help explain this class and tell you all the arts and weapons they can use. 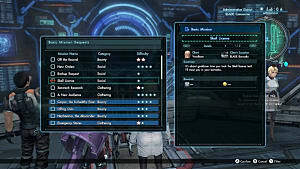 For help with the base class Enforcer, or any of the base classes, check out my Base Class Guide. 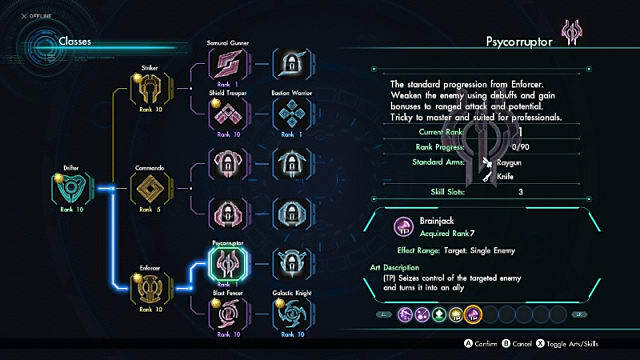 Psycorruptor and Mastermind Info - Arts, weapons, and skills for these classes. Mastermind Class Tips - Tips for what kind of play style to expect when playing Mastermind. This branch focuses on debuffs, making the enemy more susceptible to debuffs, ranged attack, and potential. This class lets you make an enemy an ally for a short time. Screamer (Knife) - Inflicts Sleep at the enemy vicinity. 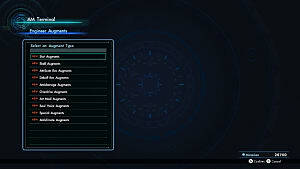 Subterfuge (Raygun) - Inflicts Debuff Res Down on all enemies ahead. Absorber Skin (Knife) - Grants Barrier to 1 ally. Ether Blast (Raygun) - Deals Ether damage to all enemies ahead. Increased damage when an Aura is active. Brainjack (Knife) - Seizes control of the target enemy and turns it into an ally. Beauty Sleep - Extends Sleep effects by 10 seconds. Brain Wall - Increases resistance to Sleep, Control, and Slow Arts when you have an Aura active. Gentle Approach - Grants a chance of not waking a sleeping enemy when auto-attacking. King's Decree - Reduces enemy Control resistance and raises debuff tier by 1. Extra Armor - Increases Barrier's damage absorption rate. Feather Touch - Grants a chance of not waking a sleeping enemy when attacking with an art. Unpleasant Dream - Increases damage to sleeping enemies. Core Crusher - Your Ether attacks no longer do appendage damage, but the primary damage is increased. This is the upgraded version of the Psycorruptor. They use the same weapons and play style, everything is just enhanced. Gravity Blast (Raygun) - Deals Gravity damage and inflicts Topple on a single enemy. Dispel (Knife) - Deals Ether damage and randomly removes one buff from the target. Gravity Cloak (Raygun) - Grants Gravity Res Up to nearby allies. Servant Sacrifice (Knife) - Increases HP and TP when controlling a target and sometimes destroys the target. Energy Source (Knife) - Increases TP and Potential for one ally. Black Butterfly (Knife) - Deals Ether damage, inflicts Ether Res Down, and shortens Aura effect time to a single enemy. Pathogen Blast (Raygun) - Inflicts Virus to all enemies ahead. Ether Guard - Increases Ether resistance when wielding a ranged weapon. Gravity Boost - Increases Gravity damage. Well-Weathered - Increases TP when taking weather damage. Appendage Erosion - Increases appendage damage for every debuff on the enemy. Resistant Flesh - Increases resistance to all debuffs. Target Analyst - Reduces enemy debuff resistance when landing an attack. King's Boon - Grants All Abilities Up to enemies under your Control. Secondary Accelerator - Reduces secondary cooldowns. This class has a ranged debuff play style. 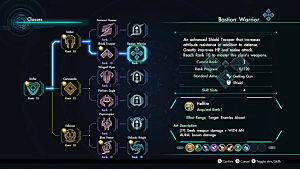 You want to focus on abilities and skills that increase ranged damage, your ability to debuff enemies, and increased duration. 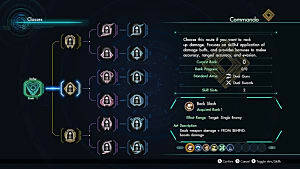 Many Arts and skills acquired from these classes help make the enemy more vulnerable so that you and your team can deal more damage. This is also the class branch you want to pick if you want to control enemies and the battlefield. 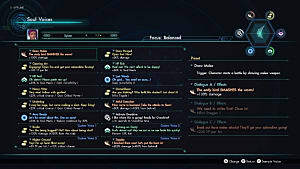 This wraps up my Psycorruptor and Mastermind Class Guide for Xenoblade Chronicles X. 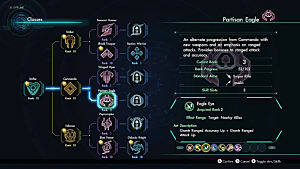 Check out my Base Class Guide for tips on any of the other classes.